At this stage of development, it is important to learn how to open and close your chakra. It is ok to open your chakra to good friends and family, but you don't want to be too absorbent, you are allowing yourself to be receptor for any kinds of energies including negative. This can often happen in public places. Before you get started, you need to know your chakras points in your body. You can look at the meditation basics page. 1. First you are going to open your chakra. Find a comfortable and quiet location. Sit in a comfortable upright meditation position. Take a few deep breaths and then breathe naturally. You picture a lotus or rose that is closed. After that watch intently as your lotus slowing begining to open. Notice each petal is reaching out and creating a spiral pattern. Permit yourself to overwhelmed by its beauty, fragrance, and color. Watch the arrangement of it petals and notice how they spiral out from the center of the flower. 2. Next, you visualize a closed flower on the center of your forehead and then visualize slowing opening its petals. 3. Repeat this process at your throat and then the heart. As the flower opens, feel your heart opening with it. You feel the center of the heart radiating with warmth, creating a feeling of well being in every part of your body. 4. Continuing this process downward to each and every chakra in the chakra system. Visualizing each chakra opening in turn. 5. When you wish to open a chakra point, visualize it as a lotus or flower unfolding slowing, with its petals opening outward. If you wish to close a chakra point, visualize it as a lotus or flower closing into a tight bud, starting from the bottom and work your way upwards. 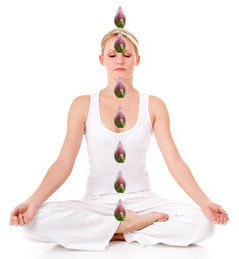 With regular practice, you can open and close your chakra at will.